Ryanair, Europe’s favourite airline, today (24 Jan) launched Ryanair Travel Credit, a new incentive that gives customers who book accommodation with Ryanair Rooms 10% back in credit to spend on flights. 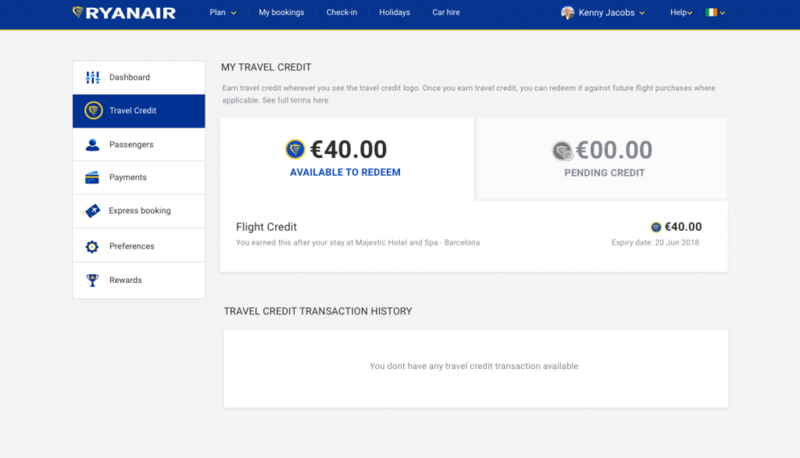 Any customer with a “MyRyanair” account who makes a booking on Ryanair Rooms will earn 10% back in credit, redeemable directly against flight purchases on Ryanair.com. 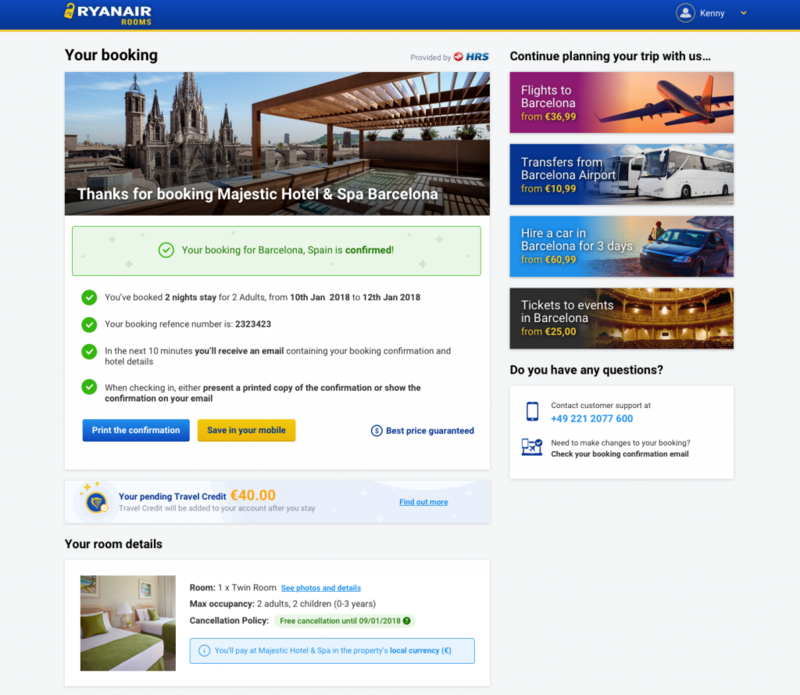 For example, a customer who books a four-night stay in Barcelona for €400 will receive €40 Travel Credit directly into their MyRyanair account – essentially giving them their next Ryanair flight for free (given Ryanair’s average flight fare is just €41). Ryanair recently launched a major upgrade to the Ryanair Rooms website, as it continues on its journey to becoming the ‘Amazon of Travel’, offering an even wider choice of hotel, hostel, B&B, holiday villa and homestay options, all at the lowest prices. The new website features an improved dynamic search function and simplified booking experience, enabling customers to choose from over 1.2 million rooms worldwide. Travel Credit is the latest initiative as part of the “Always Getting Better” programme, including a personalised Ryanair.com website, a dedicated Chinese Ryanair website, Ryanair Tickets for concerts and events, Apple Pay integration, long haul Air Europa flights on sale on Ryanair.com and a new partnership with the Erasmus Student Network. “We’re pleased to launch Ryanair Travel Credit, our latest “Always Getting Better” improvement, offering customers 10% travel credit when they book accommodation on Ryanair Rooms, which can be redeemed directly against flight purchases. 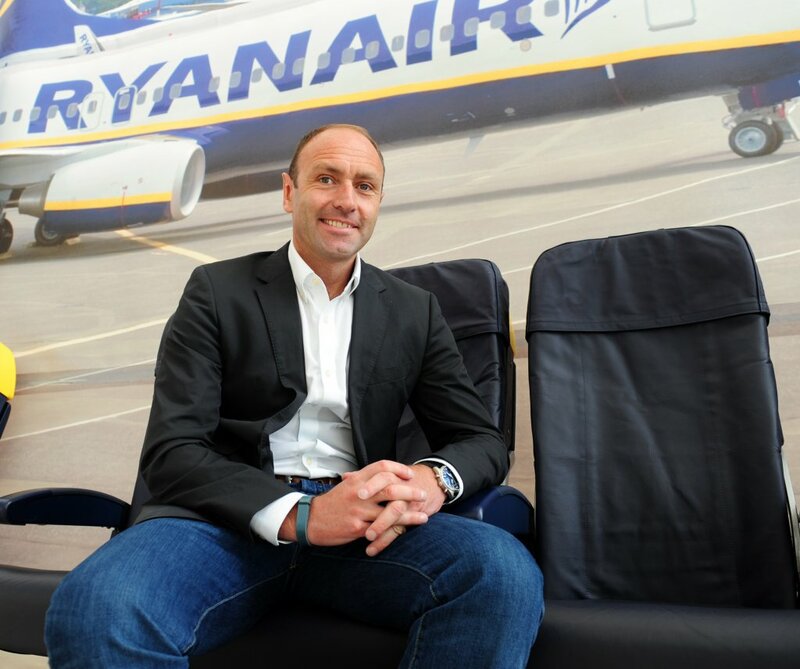 This new initiative is a huge benefit to our customers who will see the same hotels and accommodation in Ryanair Rooms as they will in other popular booking sites, but with the major difference being the 10% ‘money back’ they will receive to spend directly on flights when they book. Following a major upgrade to our Ryanair Rooms website, customers have even more choice, enhanced search options and a simplified booking process, ensuring they can choose their ideal accommodation, but always at the lowest prices and by offering this Travel Credit, all of our commission will be given back to the customer, resulting in even lower air fares.